inversecondemnation.com: NJ Court: There's No Substitute For The Eminent Domain Process, Even On The Shore, Even In An "Emergency"
Here's the trial court's opinion in one of the Jersey Shore "dune replenishment" cases we've been following. These are the cases in which owners of beachfront property (or in one case, a municipality itself) objected to the state and local governments summarily taking easements on private property to be used to armor the shoreline against future hurricane damage. In response to Sandy, the federal government threw $3.461 billion at the shoreline in New Jersey and other states damaged by the hurricane, and as part of the package, the state and local governments were tasked with being "responsible for the rapid acquisition of property" needed. The core issue presented in Count III is whether the shore protection provisions of the DCA authorize a municipality to effect an immediate taking of a perpetual easement without instituting a condemnation action pursuant to the Eminent Domain Act, N.J.S.A. 20:3-1 to 20:4-22, namely the negotiation and valuation process to set the value of the taken property and pay any just compensation due. 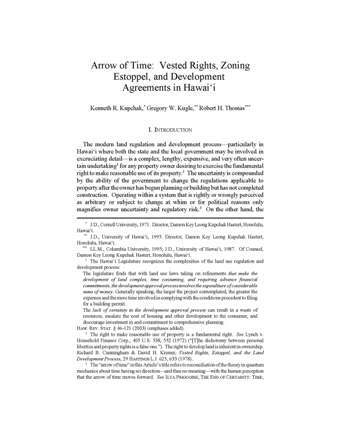 Nevertheless, the court finds that the DCA does not authorize the Township to effectuate a taking of plaintiff’s property and filing a deed of perpetual easement with the County Clerk without instituting a condemnation proceeding pursuant to the Eminent Domain Act. If the Township wishes to acquire perpetual interests in plaintiff’s property for shore protection measures, it must adopt an ordinance authorizing the acquisition under the DCA and comply with the procedural requirements of the Eminent Domain Act. The fact that the DCA provides the right of the property owner to receive just compensation at a later date does not militate against this finding. 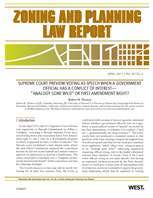 The Legislature did not intend, with the enactment of the Disaster Control Act, to trump the procedural due process under the Eminent Domain Act, which is guaranteed to a property owner faced with a taking of their property. The court is not unmindful of the sense of urgency on the part of State and local officials who desire to move expeditiously with the Federal funding earmarked for dune protection measures following the wrath of Hurricane Sandy. The court is also cognizant of the extensive efforts undertaken to obtain grants of easements on a voluntary basis by affected property owners. The proper course for governmental agencies dealing with property owners, who have not voluntarily granted deeds of easements, is to promptly institute condemnation actions. A taking can only occur when a municipality files and records declaration of taking under the Eminent Domain Act pursuant to N.J.S.A. 20:3-17; see Wayne v. Ricmin, Inc., 124 N.J. Super. 509, 517 (App. Div. 1973), certif. denied, 63 N.J. 538 (1973). It follows that the unilateral act by the Township in filing and recording an unsigned deed of easement with its covenants against plaintiff’s property following its resolution is without any legal basis and must be set aside and removed from the County records. More from NJ.com: "LBI homeowners' property taken illegally for beach replenishment, judge rules"
This reminds us of the cases now pending in the California Supreme Court where, following the same logic, the Court of Appeal concluded that the extent of the intrusions sought by the California Department of Water Resources under statutes which allow a condemnor to enter and survey land in anticipation of a taking was itself a taking, meaning that it could only be accomplished after adhering to the process for condemning and taking land under the eminent domain code.